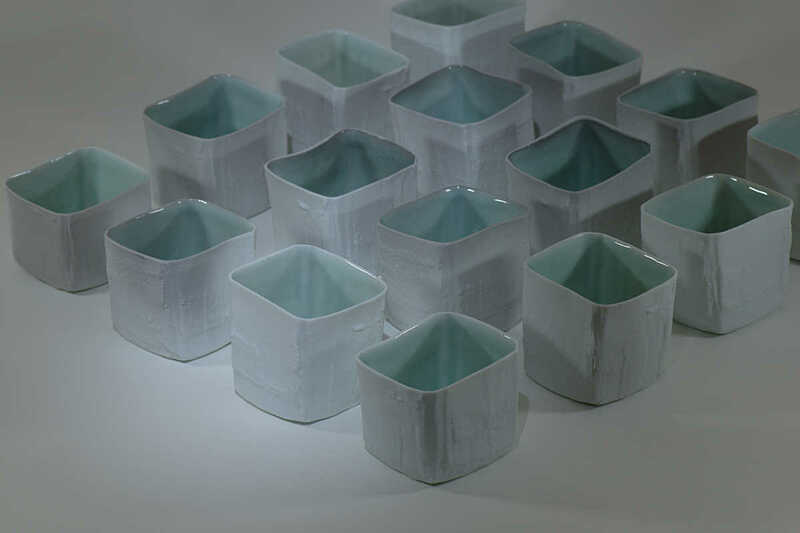 4² is an installation of 16 cups made of Southern Ice porcelain. 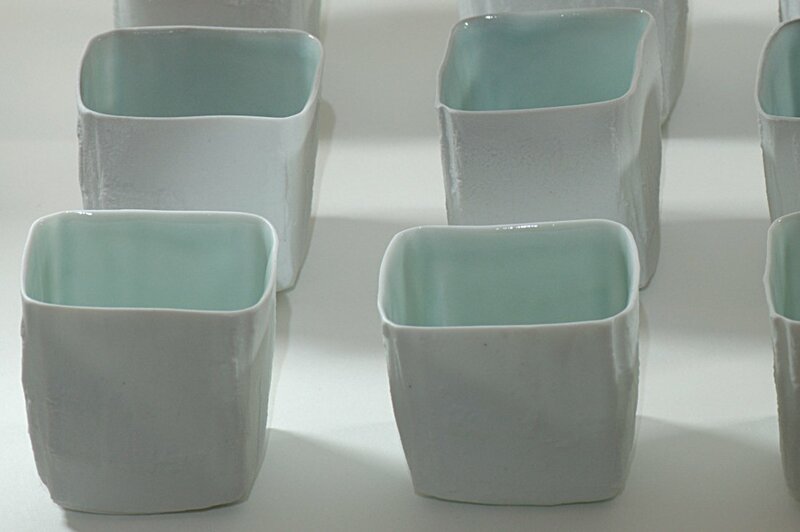 The cups are slip cast with walls between 1-2mm thick to bring out the translucency of this fine porcelain. 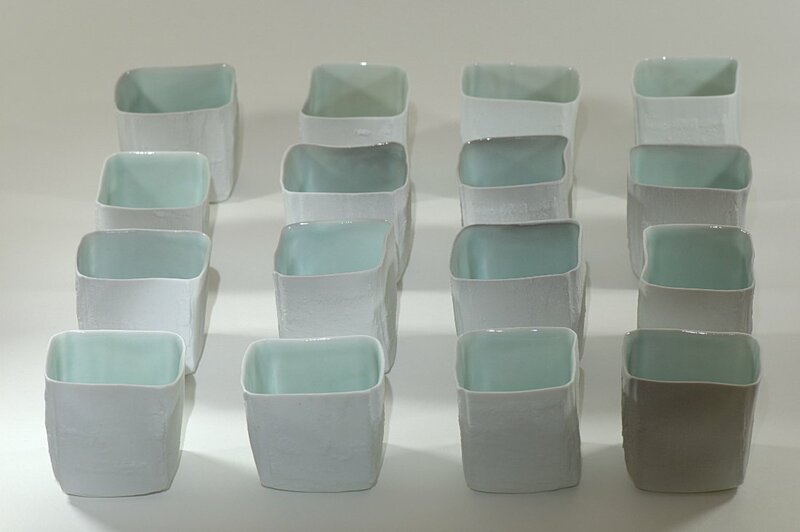 4² was selected for exhibition in the Rotary Arts Spectacular in 2014. 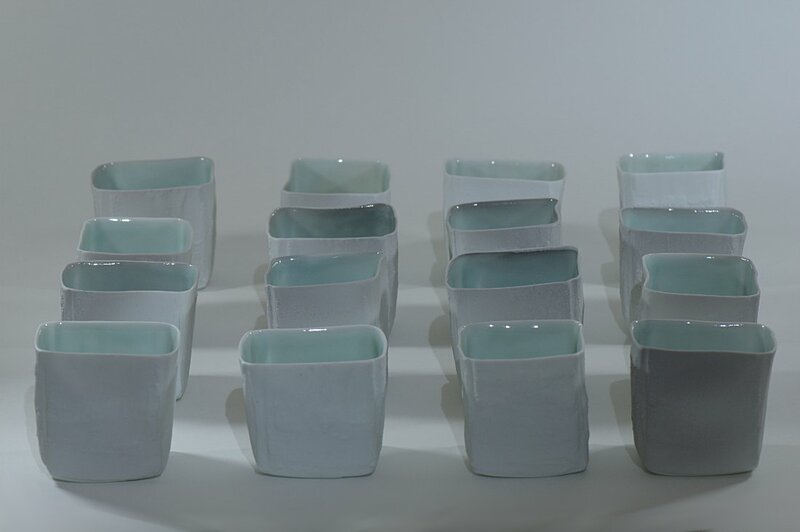 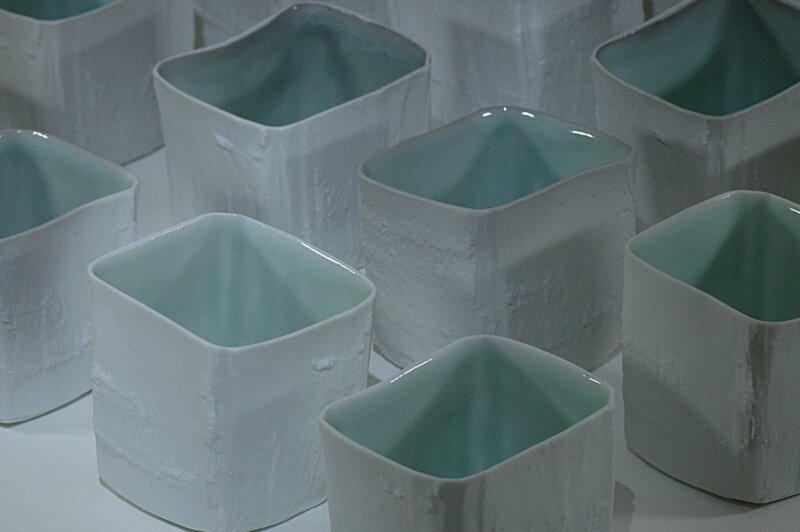 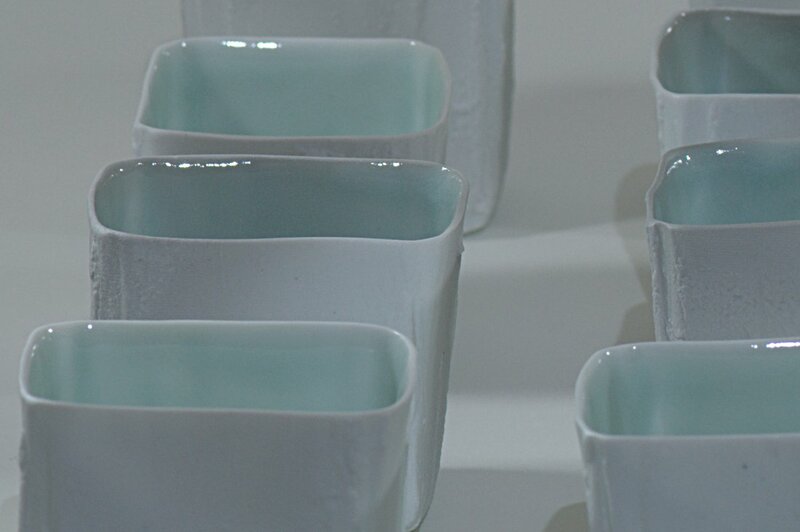 To achieve the delicate blue of the qingbai glaze the cups were fired to 1280°C in a reducing atmosphere in a gas kiln. 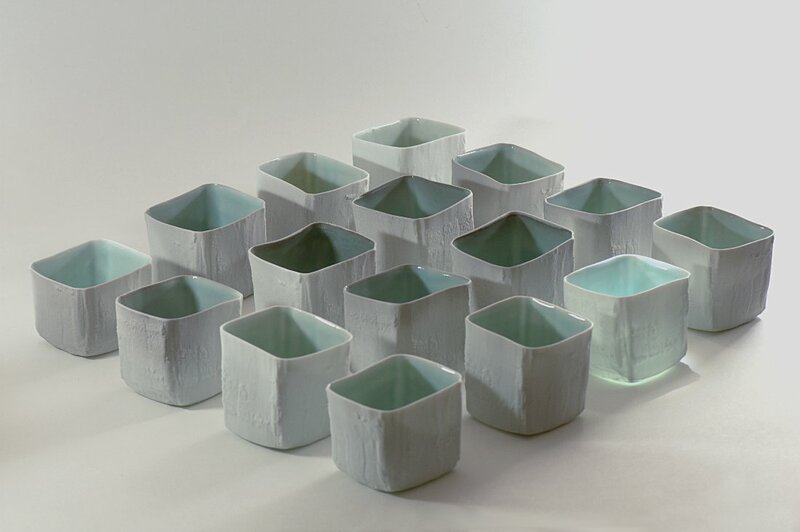 An authentic qingbai (blue-white) and the related celadon (green) glazes are achieved with the use of a very small amount of a single colourant - red iron oxide. 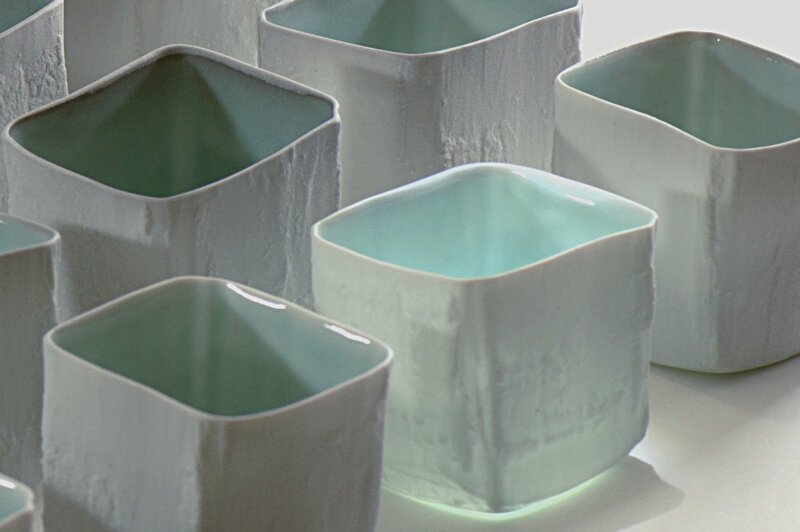 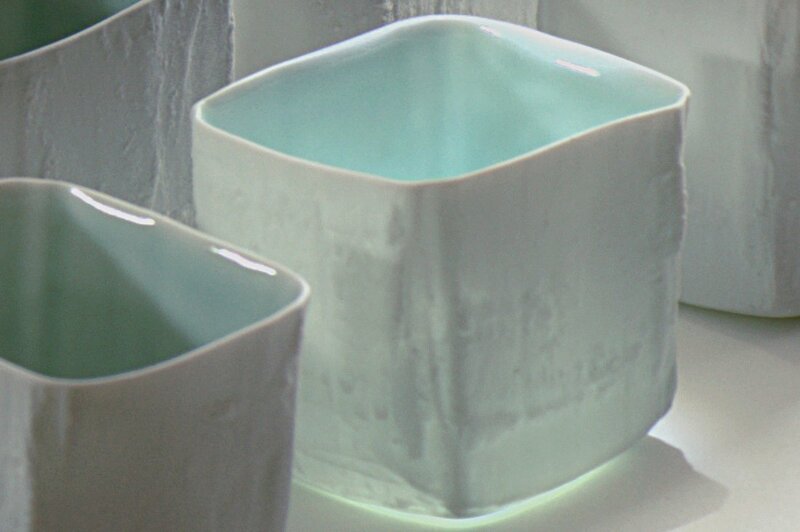 The iron is reduced in the atmosphere in a gas kiln and, in the absence of titanium in the glaze ingredients and under the right firing conditions, produces this translucent ice blue glaze.